Posted in: Bees and Wasp, Flowers, Insects, Plants. 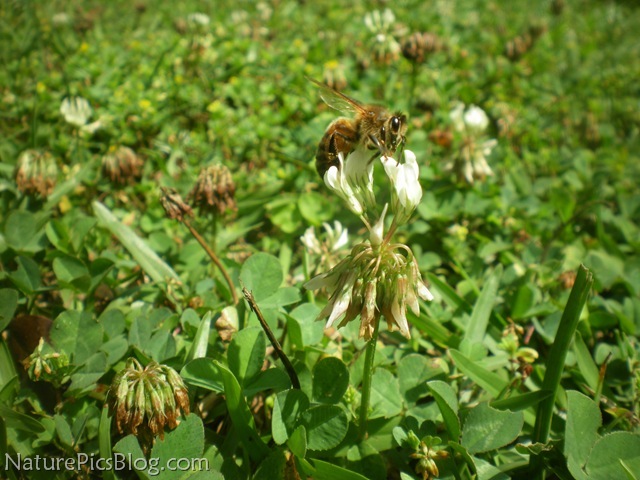 Tagged: Bees, clover, flowers, insects, Nature, outdoors, photo, Photography, picture, wasp, wildflowers, Wildlife. If you’re going barefoot in our backyard, watch where you step! Bees and wasp of all shapes and sizes flock to feed on the multitude of clover growing among the grass. That’s what this honey bee was doing when I captured him the other day. Posted in: Flowers, Plants. 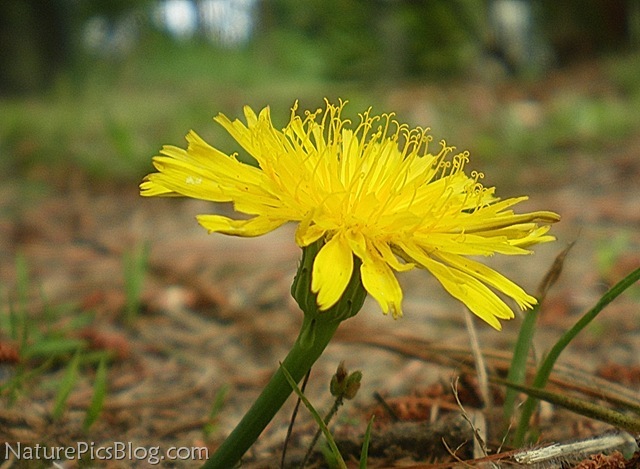 Tagged: dandelion, flowers, Nature, outdoors, Photography, wildflowers, Wildlife. This beautiful yellow dandelion made a great ground level shot. Although dandelions are a bit annoying when they shoot up in your garden or yard, they are still beautiful wildflowers and make excellent photos. Posted in: Flowers, Plants. 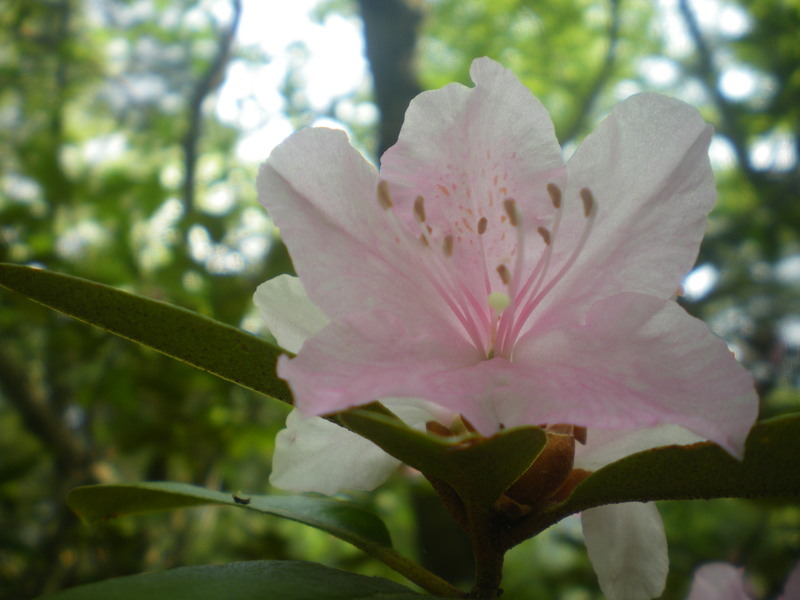 Tagged: clover, Nature, outdoors, Photography, plants, wildflowers, Wildlife. 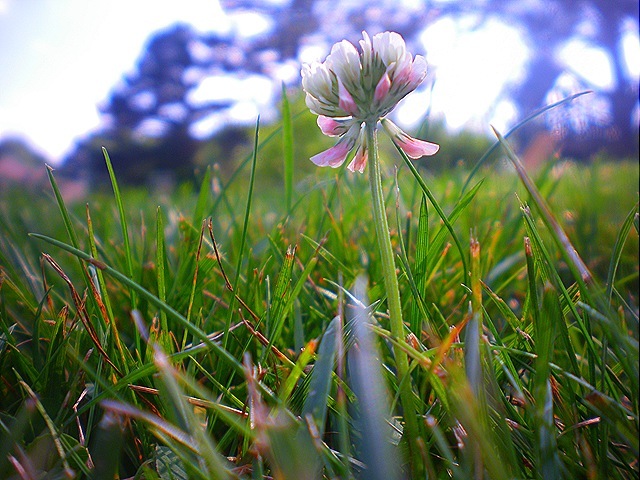 Clover takes over our yard during spring. This one had managed to climb higher than all the grass down below it. I hope it survives the lawnmower! Posted in: Flowers, Plants. 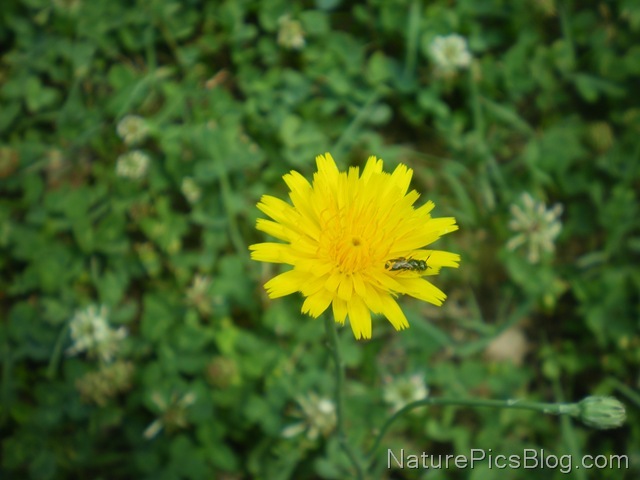 Tagged: dandelion, flowers, insect, Nature, outdoors, Photography, wildflowers. Dandelions are sprouting up everywhere in our yard, like they always do during spring. I captured this tiny bug exploring one of them yesterday. I didn’t even notice him till after I had snapped the photo.